Asu is has been training under Cam Todd since 2015. She was the 2016 U64kg Champion and has been honoured to represent New Zealand as a boxer on multiple occasions. 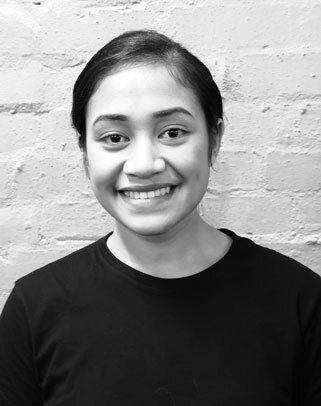 Asu arrived in Aotearoa from Samoa at the age of six with her family, not speaking a word of English. She spent some early years as a timekeeper and bell girl while her brother Lafi was in the ring. Not content to simply watch, Asu tried boxing herself in 2012 and immediately fell in love, winning the Waikato Championships in her first fight. Asu made her way to Wreck Room because she wanted to be coached by, and spar with, the best. “To be the best, you have to train with the best,” she says. In 2017, she took the year off from competitive boxing in order to finish her studies (Bachelor of Sport & Exercise Science). The sacrifice paid off: she graduated as the top academic student in her year, simultaneously becoming the first person in her family to graduate with a Bachelor’s degree. You can expect hard work, sweat, fun, and plenty of smiles from Asu (aka The Smiling Assassin). Whether you’re looking to box competitively, get fit, lose weight, or just push yourself to the next level, Asu believes in sharing her experience and knowledge to help other people benefit from exercise the same way she has. Asu offers massage therapy through her practice Fighting Fit Massage Therapy and has worked with professional and elite athletes (The Northern Stars Netball Team, White Ferns Cricketer Katie Perkins, Champion Bodybuilder Siaosi Tuatao) as well as clients just looking to de-stress. She hopes to share the benefits she felt first hand with massage, helping with recovery from hard training and injuries. Favourite foods: cookies & cream ice cream, rice, or – if it’s before a fight – just air! Follow Asu on Instagram and Facebook.